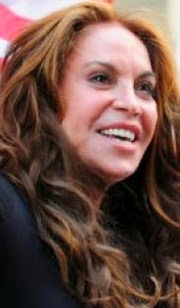 Pam Geller Announces Plan To Advertise Mohammed Cartoon On DC Transit - Joe.My.God. “Because the media and the cultural and political elites continue to self-enforce the Sharia without the consent of the American people by refusing to show any depictions of Muhammad or showing what it was in Texas that had jihadists opening fire, we are running an ad featuring the winning cartoon by former Muslim Bosch Fawstin from our Muhammad Art Exhibit and Cartoon Contest in Garland, Texas. Let the American people see what the cowardly press is censoring in accordance with the blasphemy laws under the sharia (Islamic law). The ad campaign has been submitted to the Washington DC MTA to run on buses and train dioramas in the Foggy Bottom, Capitol South, Bethesda, L’Enfant Plaza, Shady Grove stations.” – Pam Geller, writing for her blog.